Hans Hautmann. Biography. | Interportal "Fascism-XXI at your door"
Home » Hans Hautmann » Hans Hautmann. Biography. Hans Hautmann was born in 1943 in Vienna. He graduated from the Faculty of History and German Studies at the University of Vienna. In 1968 he was bestowed a degree of Doctor of Philosophy. Thesis: "Beginning of movement of left-wing radicals and the German-Austrian Communist Party in 1916-1919." From 1969 he worked as an assistant of Modern and Contemporary History Institute at the Johannes Kepler University of Linz. In 1982 he was instated an academic status of associate professor for the work "History of Soviets’ movement in Austria, 1918-1924." In 1988 he was awarded the Victor Adler State Prize for the history of the labor movement. 1997 Professor of department of Modern and Contemporary History. 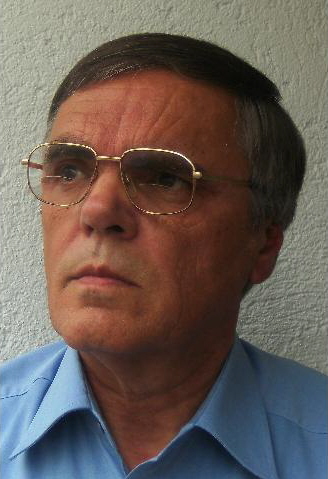 2000 Director of Linz Institute of Modern and Contemporary History. In 2005 he retired and since that time lives in Vienna. 1993 - 2005 President of the Library and Archives Association of Alfred Klahr Society. 1998 - 2007 President of the Association for the promotion of research on judicial history. He is the author of 11 books and 244 articles on topics of Austrian and international labor movement, history of Austria in XIXth and XXth centuries, the First World War, the judicial history, the history and theory of the Revolution, Marxism, socialism and communism.